Stop worrying about keeping up with power cords or having spare batteries on hand. Let in-store lighting power-up your scale. The SCS30 is powered by in-store ambient light or outdoor indirect light. The only one of its kind on the market, Detecto Scales exclusive digital solar hanging scale is powered completely by light and never requires battery replacement. The model SCS30, available from Central Carolina Scale, is NTEP approved legal for trade making it ideal for grocery stores, farmers markets, hardware stores, and roadside produce stands where customers pay by weight. The 30 lb/15 kg capacity and 0.02 lb/0.01 kg divisions offer you pinpoint measurement accuracy. The bold 1-inch-high LCD displays instant digital readouts. 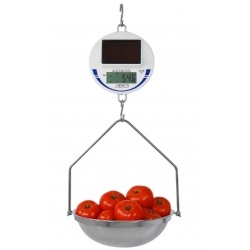 A stainless steel produce pan, hanging assembly, and two S-hooks are included, so the solar-powered scale is ready to use right out of the box, just add light! Requires minimum 400 lux. An optional portable stand is available for DETECTO's SCS30 digital solar scale: model HS-STAND. Let in-store lighting power-up your scale... and your produce sales. 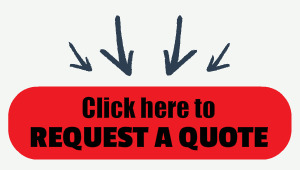 Instantaneous readouts save time and enhance customer confidence by assuring accuracy. In addition to easy installation (all you add is light), these scales are designed for years of repetitive use that is virtually maintenance-free. Cleanup with a damp cloth is a snap, and the lifetime solar cell means you never have to worry about power shortages or dead batteries.